"First time official issue of this previously unissued classic and historical London live performance from 1979. Recorded live in August 1979 as part of a series of four legendary post punk gigs that included Throbbing Gristle, Echo & The Bunnymen, Red Crayola, and Cabaret Voltaire. Limited edition 180 gram vinyl comes complete with textured sleeve and a poster insert." "This 70-minute documentary covers the entire career of Joy Division, one of Manchester and post-punk's most respected bands. 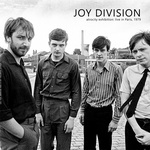 It charts the entire short lifespan of the group, from their origins in their days as Warsaw to the more well known incarnation of Joy Division. Features include rare musical performances, obscure footage of rare interviews and rarely seen photographs. 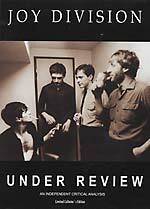 Plus review, comment, criticism and insight from; Mick Middles, co-author of Torn Apart: The Life Of Ian Curtis; former NME and Melody Maker journalist, Barney Hoskyns; Ex-Mojo magazine editor, Pat Gilbert; Manchester punk musician and author, John Robb; music journalist and author David Stubbs; and more." 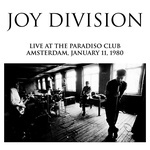 Also includes live and studio recordings of Joy Division classics such as "Transmission," "She's Lost Control," "Atmosphere," "Love Will Tear Us Apart," "Shadowplay" and many, many others. 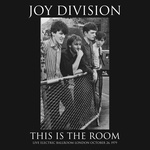 Extras: Special Feature: Rare Ian Curtis audio interview, Joy Division interactive gaming feature "The Hardest Joy Division Quiz in the World Ever," contributor biographies, "Beyond DVD" section. Running time: 70 minutes; All Regions (0); Screen Format 4:3; Stereo Sound Mix. NTSC format, all regions.